Walk Hike Portugal is pleased to introduce and invite you to visit with us the spectacular Triangle of the Central Group of the Azores Archipelago. 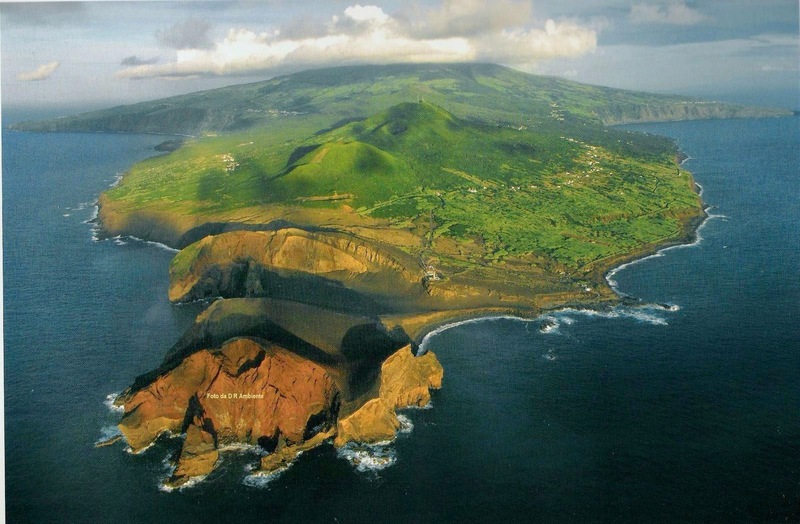 What we propose is a trip to the 3 islands that make up this triangle, the Pico, São Jorge, and Faial. Let’s start by Pico, populated in the 15th century, this has always been an island dominated by titans, from the powerful volcano of Pico on land to the indomitable sperm whales in the sea. In the middle were the local people, who with their courage and stubbornness succeeded in making these lands their home. Not only they transformed the barren basaltic rock from the bowels of the earth into fertile ground where one of the most genuine wines we can drink, the Verdelho, was born, as they fought fierce battles with the sperm whales, extracting the fuel necessary for their survival. We will climb the one that is the 5th greater volcano of the Atlantic and the third greater peak to be born in the ocean, where the views in its summit will leave us marvelous. 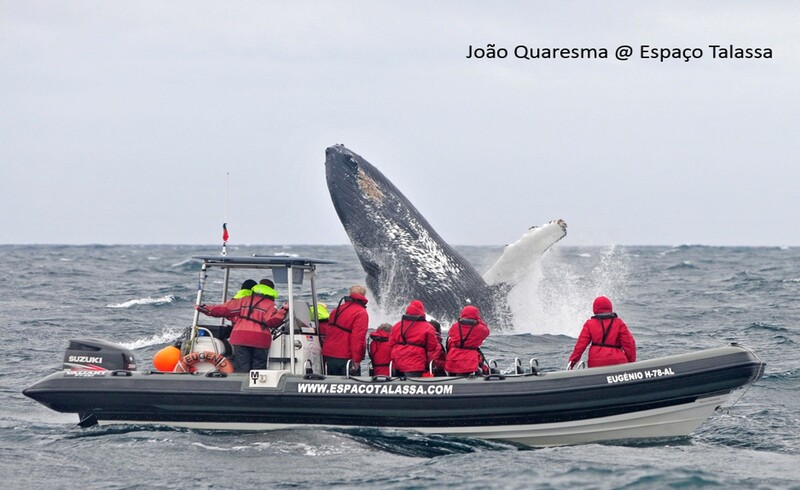 For a day, our hikers will be sailors and will sail in these waters full of life, to meet one or more of these giants. We will know and understand the exciting history of the “Verdelho”, how from the Basalt wine was made. All this accompanied by imposing landscapes and good local food and culture. Next is São Jorge. Its forested cliffs are legendary, just as legendary is the resilience of its people who have suffered from the impressive forces that shaped these islands, this are the ones. The Fajãs, small coastal shelves of hard lava with nutrient rich soils and gigantic escarpments on its back, are the soul of this island. It was here that the first settlements were born and it was also here that their closed and isolated culture borne. 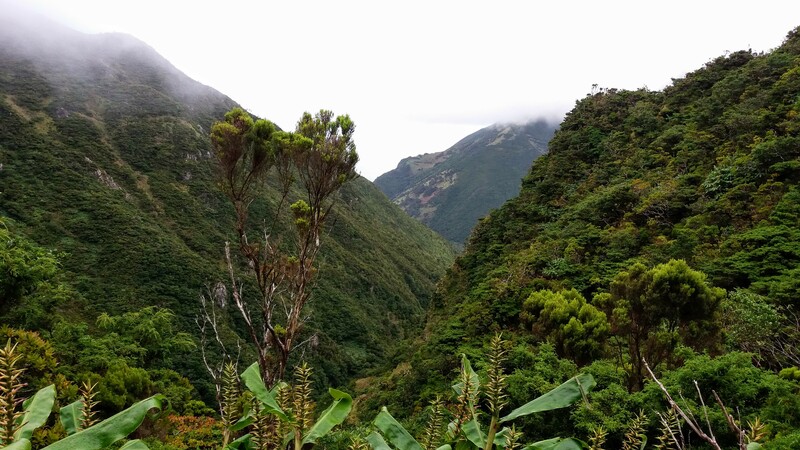 It will be from Fajã to Fajã that we will hike. We will get to know these people and their unique customs. We will taste their food, still picked today and grown by themselves and drink their local specialties. It is perhaps here that we will feel with more nearness, the true pulsar of the Azorean soul, thanks to the 3 hikes that we will do here, by mountains, valleys, cascades, streams and cliffs of incredible beauty. We will finish in Faial, where its beautiful capital, the city of Horta, always had great geostrategic importance, gaining its place in history with the aeronautics and navy industries. It is also between 1893 and 1969 that the city becomes an important intercontinental communications center, linking Europe to America. We will also visit the Capelinhos, a volcano that in September of 1957 erupted, adding more than 2.5 km2 of territory to the island and made possible, for the first time in the history of modern volcanology, the study of an underwater volcano in all its stages of development. We will also meet its impact on the region, as well as all the entrails of these lands shaped by fire, on the visit to the fabulous Interpretation Center, all of it excavated in time-hardened lava. Welcome to the Central Triangle of the Atlantic Ocean. 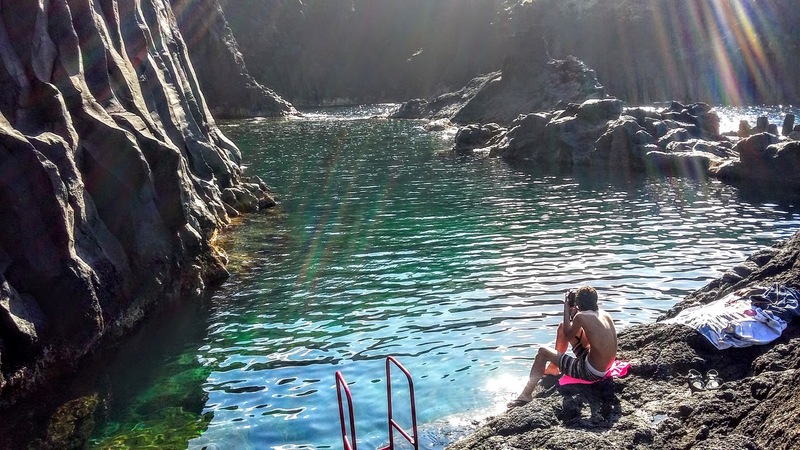 In this first day on the island of Pico, in addition to the journey of about 40 km in the connection between the airport and Aldeia da Fonte, our hikers, after having settled, will have the opportunity to enjoy the two magnificent swimming pools, one of them in the ocean with a spectacular setting. It will be in this magnificent spot where we will stay overnight in the next 3 days. After a well-deserved rest, dinner will be at a local restaurant, run by the Association of Artisan Fishing Owners of Pico Island. Definitely a good choice for eating one of the many fish dishes typical of the Azores. Duration: 40 minutes from the airport to the Aldeia da Fonte + 30 minutes (each way) from the Aldeia da Fonte to the restaurant. The island of Pico is one of the places of the world with greater tradition in the centenary and extinct industry of the whaling with rowboats. That is why it is an inescapable subject. In this sense, this second day is dedicated to thes magnificent colossus of the sea and the men who with these fought epic battles. Even before we set out on the sea in a semi-rigid boat prepared for Whale Watching activity, our hikers, who will be sailors today, will receive a briefing, where they will learn about the rich marine ecosystem where the island of Pico is located, besides of course, of all the indications on the sea tour of about 3 hours that awaits them. Lunch will be inside a space that reproduces the traditional whaling architectural and where the food is made with local produce. After the meal, a visit to the Museum of the Whalers, where our hikers, sorry, sailors, will be able to find out about this hard and dangerous activity, which was one of the economic strongholds of the all-region. After lunch, we will visit the largest lava tunnel in Portugal, with 5,150m and the 5th largest in Europe. Although this guided tour takes place only in the first 500m, the scenery that surrounds us is spectacular. While the guide explains several interesting details, we cannot fail to impress by the forces that excavated this tunnel in pure basaltic rock. After this visit to the bowels of the earth, we will visit the famous vineyards of the Verdelho wine, World Heritage by UNESCO and realize how it is possible to grow a vineyard of unique characteristics in the barren basaltic stone. 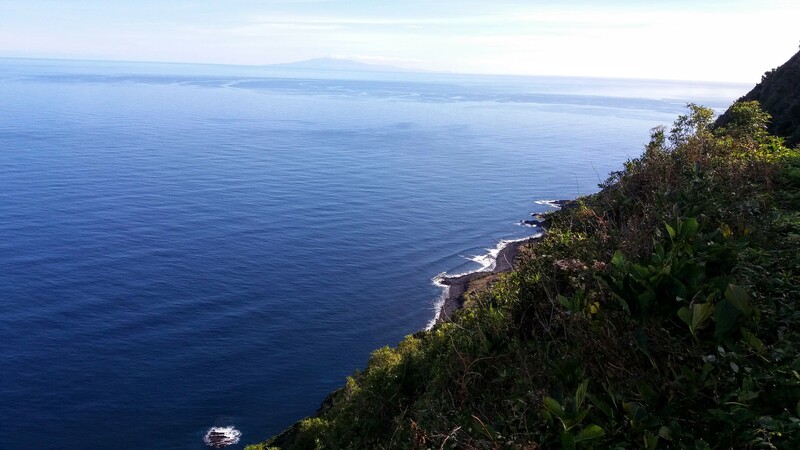 The oceanic pools, right in front of these vineyards, with the island of Faial ahead are our next destination, where our hikers can bathe in the warm and transparent waters of this part of the Atlantic. The dinner will be in a local restaurant with a beautiful sunset view. On the next day, our hikers will do the ascent to the Pico Volcano. This will be a memorable day for all our hikers as it is not every day that you climb to the top of the 5th largest volcano in the Atlantic Ocean, Pico. The day begins before the sun rises. 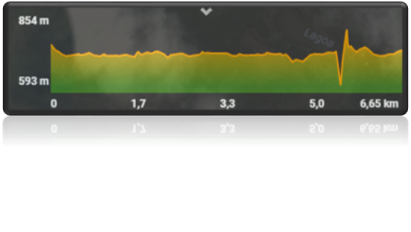 The ascent starts at about 900m altitude and we will reach the top at 2,351m, about 4 hours later. At the summit the views are breathtaking and if the clouds allow we can see the remaining 4 islands that together with Pico, make up the Central Group. The descent will take about 3 hours and the well-deserved and fair rest will be in Aldeia da Fonte, where a sea bath and/or pool awaits us. The rest of the day will be spent here as well as the dinner. This is the farewell day to Pico Island. 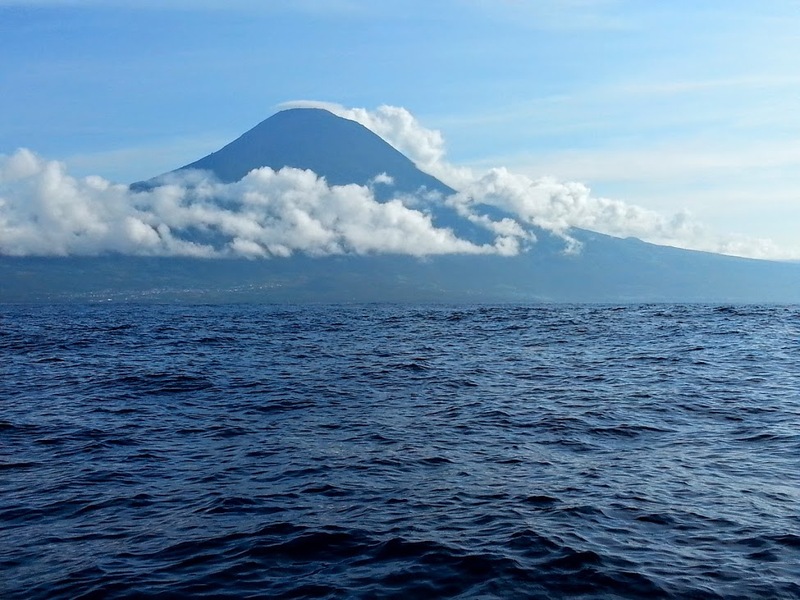 In the morning, on the first boat in the morning, we will cross the beautiful channel that separates the island of Pico from the island of São Jorge. The trip will last around 1h and the views are magnificent. Behind is a sleeping giant, whose endless views from its summit will be forever preserved in the memory of our hikers. 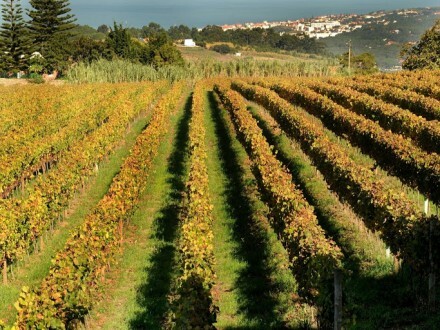 However, the island of Pico is much more than the omnipresence of its great volcano, the herculean effort of local people who have achieved the miracle of giving birth to vineyards in the aridest landscapes of all Portugal, forever changing the natural landscape of the island, is equally something to be remembered. Still remains the story of the life no less harsh from those who fought tremendous battles with some of the greatest giants of the seas, as well as the boat trip that transformed our hikers into sailors, permeating them with the presence of the powerful Sperm Whales and other inhabitants of these blues Atlantic waters. Already in São Jorge, our first hike here begins at more than 700m altitude, in an area called White Stones, near the peak of São João, which we will cross. 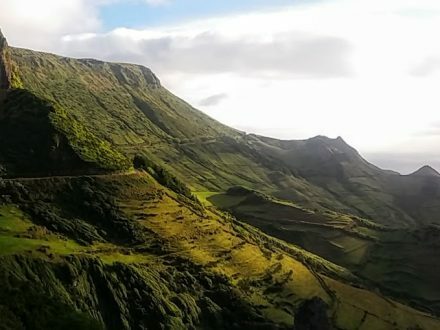 It is called the peak of São João because on its left is one of the most remote Fajã of São Jorge, the São João Fajã, framed by a gigantic rocky wall, fully covered with vegetation. In front of us is the Atlantic as well as the other two islands that make up the Triangle of the Central Group, Pico and Faial. It is with these monumental views that we begin our descent, through a pasture zone. Further on we will pass through a barrier of dense vegetation, before entering in another beautiful forest corridor. From here on one side we have the steep rock and in the other, when the vegetation allows it, breathtaking views of the cliff to the ocean. The omnipresence of the Pico volcano on the other side of the channel and the numerous streams with some waterfalls give the final touch to this beautiful track. Close to the sea level, we are very near to our daily destiny, the Fajã dos Vimes. However, the day is far from ending here. 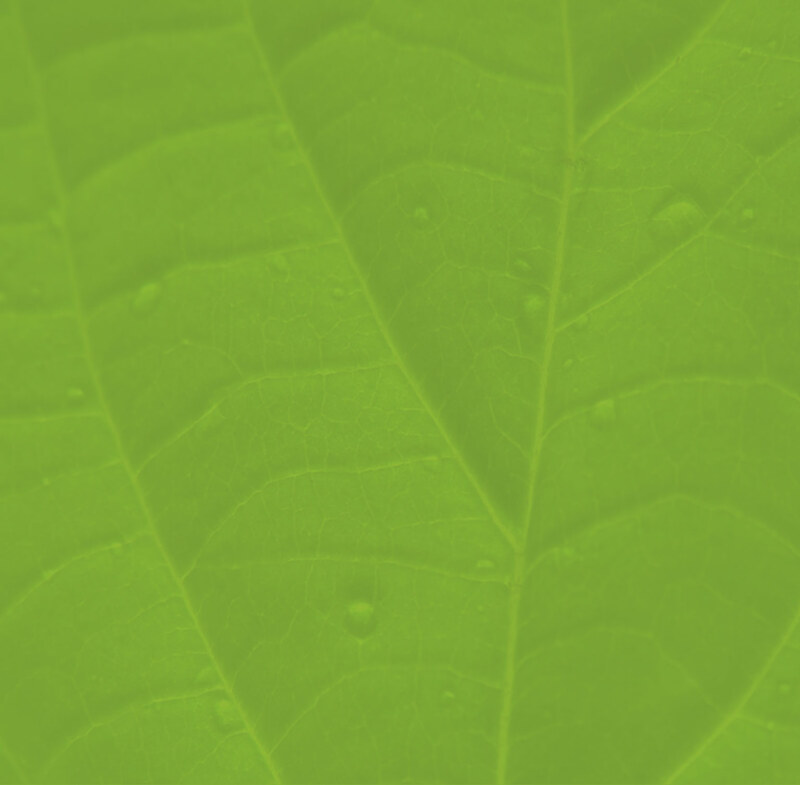 We will know the largest producer of coffee in the Azores and possibly throughout Europe, as the Azores are one of the few places on the European continent where exist climatic conditions for the production of coffee. In addition to coffee production, the Nunes family produces numerous other species of crops, but they do not stop here. The Fajã dos Vimes is also known for its traditional and gaudy bedspreads and carpets produced on wooden looms, and we will also visit the looms and their tapestries and bedspreads. 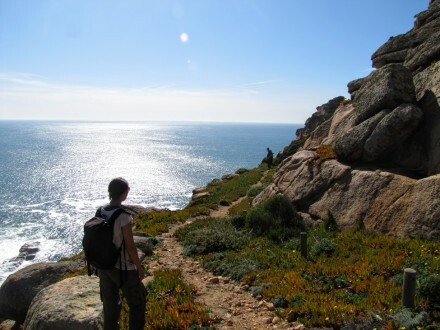 After this interesting visit, in which our hikers had the opportunity to know some of the traditions of this land, we will have a dinner of local delicacies cooked and prepared by the Nunes family. 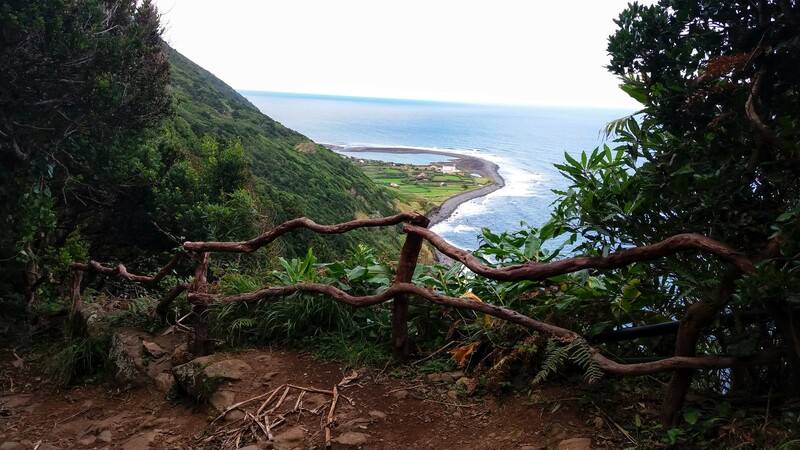 On this 5th day we will begin our walk at 741m altitude, the highest point of all the walks we will do on this beautiful and rugged island of São Jorge. 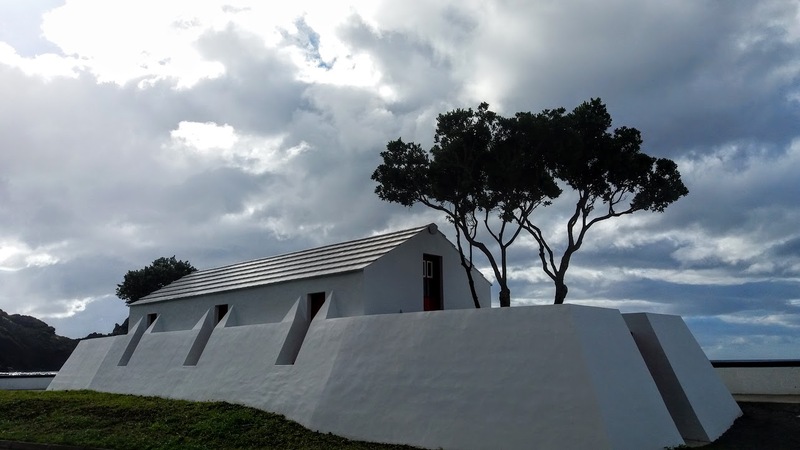 On this northern side of the island, we have other islands on the horizon, the small and beautiful Graciosa and the much larger Terceira, whose main town, Hangra do Heroísmo is a UNESCO World Heritage Site. The first two-thirds of the course, although always descending, has gentle slopes and the views are tremendous being this one of the most scenic hikes. Before we begin what will be one of the most beautiful tracks of all that we have done, we will stop at a viewpoint whose views are breathtaking. 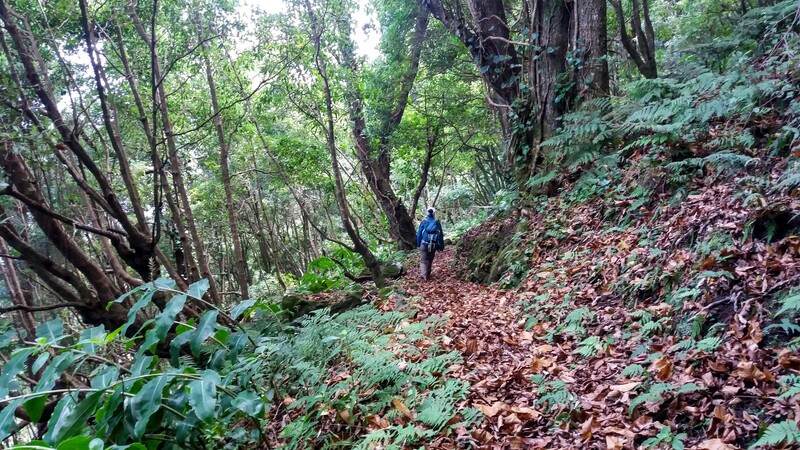 After this moment of contemplation, we will start the last descent of our hike in a small forest where Cryptomeria (Japonica D. Don) has a prominent place. Already at sea level we arrive at the Fajã do Mero, one of the most austere but also one of the most genuine, where some of the old customs are still preserved, such as the traditional architecture of the houses and the fields worked in the old fashioned way. 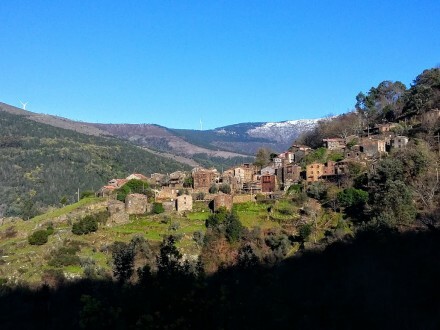 If we will be lucky and Mr. Serafim is close by, we may know the interior of one of these traditional houses and hear the stories of someone who has been shaped by these lands of tough and persevering people. Then, on a track always by the sea, we will cross by another Fajã before arriving at our destiny, where we will have a genuine meal in the house of a local. We will eat local delicacies, some fished by the owner of the house and we will also taste he’s cheese, bread, and local wines and liqueurs. The day will finish with a visit to the one that is the only private cheese factory of São Jorge since all the others were integrated into local Cooperatives. This family-owned company, already in the 3rd generation, has a highly artisanal manufacturing process, being this one of its secrets to the outstanding quality of its São Jorge cheese, as well as the fact that milk comes from their own cows, raised and fed by the family itself, in the pastures of their properties. In addition to the visit to the factory, our hikers can taste and buy their delicious cheeses. The hike of this second day is one of the most beautiful and spectacular that we will do in this island of formidable landscapes. We will start high, at more than 700m, in a small pasture where the humidity of the land will require us to have some attention not to start the day with wet feet. A few hundred meters ahead we will start the descent to a beautiful valley, all carved by the powerful forces that created this and all the islands of this unique archipelago. We will cross some streams until we enter a beautiful forest corridor that will take us to a gorgeous waterfall and lake where we will make our picnic. In this place, our hikers can also enjoy the fresh and clear waters, by taking a beautiful bath. After this comforting break we will continue along the trail until we reach a spectacular Belvedere, where, for the first time, we will see the Caldera of Santo Cristo. From here we will follow an old railroad, still in use, where the indomitable will and perseverance of the local inhabitants is well present, as it was them who reopened this impressive path among the many tons of rock that blocked it, after the tremendous earthquake of 9 of July of 1998. In the Fajã and Caldeira de Santo Cristo, we will visit the small but beautiful local church where a curious legend full of meaning precedes it. But these are stories that we will share on the spot. 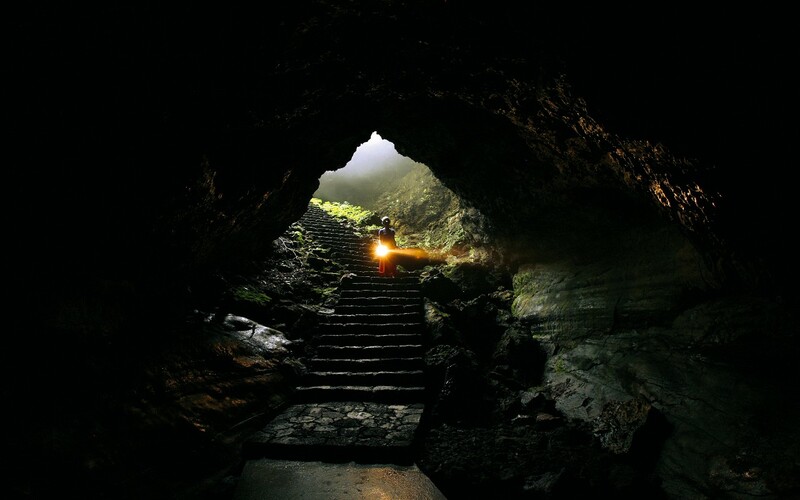 We will also visit a local Interpretation Center that will help us to understand the whole history of this Fajã, full of drama and heroic acts. Already with the Fajã da Caldera de Santo Cristo behind we still have 4 km to do, which are on a trail that closely follows the ocean, until we reach the destination of this day, the Fajã dos Cubres, very beautiful, also with some lagoons to separate it from the sea and a brutal wall covered with vegetation on its back. All this framing is the perfect end to the beautiful walk that we have just done. The dinner will be in a rustic local restaurant with a fantastic view of the Pico Volcano, on the other side of the channel. On this last day, we will know one of the most beautiful oceanic pools of all archipelago. Here our hikers can rest and enjoy the magnificent waters that bathe these islands. At the end of the day, our last dinner on this island will be in a local restaurant, in Velas, the main town of the island. After we will have the boat trip to the last island of Faial, more precisely the beautiful city of Horta, full of history and with an important role in the Second Great War. It will be also here where we will sleep for the next 2 nights. 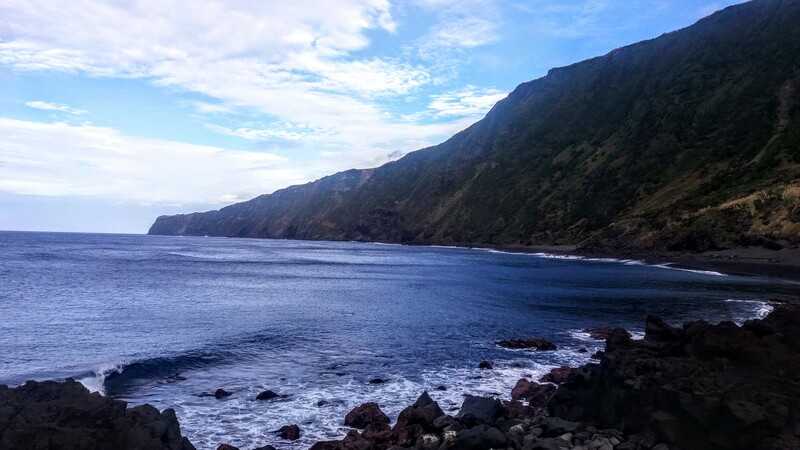 Behind stays the São Jorge Island and it’s beautiful and wild Fajãs, remote places that are the cradle of all the life and tradition of this Island. Its people, genuine and full of soul, have loved and cared for their fajãs for many generations. They are tough people whose hard life is well marked on their faces and bodies. The overwhelming and spectacular rugged cliffs will also be part of the memory of our hikers and it will be difficult to find a place with more authentic people than this. 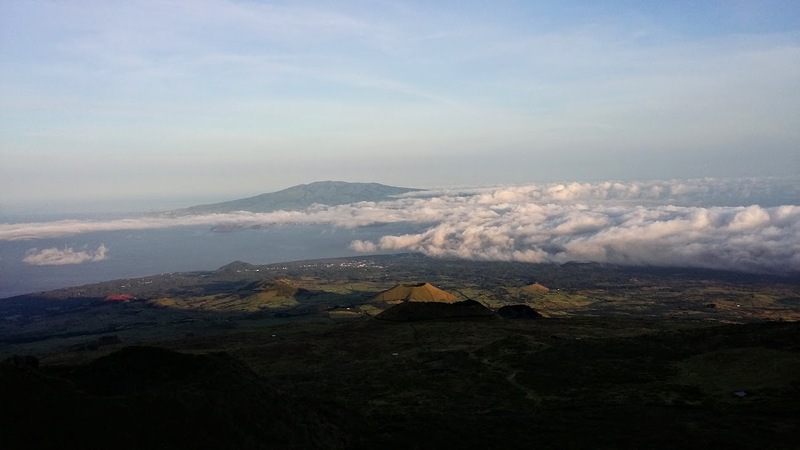 The day starts with a view from the Caldera of the central volcano of the island of Faial, responsible for its origin. 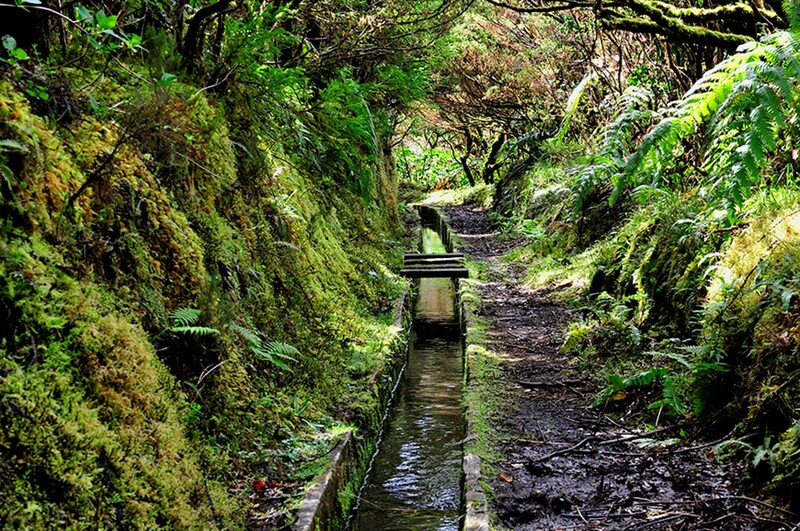 With about 470m deep and 2,000m in diameter, this caldera hosts rare populations of endemic flora of the Azores, which here, form exuberant natural communities. In addition to the beauty of the whole environment around us, it is impossible for us not to feel small in the face of the immensity of the crater that surrounds us. After we will start our hike in the water channel track. Most of it is under a beautiful forest corridor where time to time we can see the alignment of volcanic cones of the “Capelo” (an area that had a strong volcanic activity) Volcanic Complex. After crossing the bridge over the river we will get inside a “Cryptomeria” corridor, one of the most lovely zones of the path since this trees, with its rust-colored trunks, provide a beautiful framework. After this evolving experience, we will visit the impressive Capelinhos Volcano Capelinhos, that in September of 1957 erupted, adding more than 2.5 km2 of territory to the island and made possible, for the first time in the history of modern volcanology, the study of an underwater volcano in all its stages of development. We will also meet its impact on the region, as well as all the entrails of these lands shaped by fire, on the visit to the fabulous Interpretation Center, all of it excavated in time-hardened lava. Here we will know and understand the living forces that gave rise to the whole archipelago. In the afternoon we will meet one of the icons of this island, which has also become a world reference to the seamen community. We are talking about the cafe-bar Peter. From its origin, in the beginnings of the 20th century, that this unique spot became more important close to the international community of seamen, having crossed 2 world wars and more recently, since the 60s, became also relevant before the international community of sailors, called by the locals of “Adventurers”. After refreshing in the hotel, our hikers will have magnificent gastronomic experience in one of the most original restaurants in the entire Azores Archipelago. Genuíno Madruga, besides being the owner of this restaurant, is also a man who has circled twice the world alone, which has earned him immense respect among the restricted community of sailors who did this achievement. Its restaurant is decorated with all kinds of memories and artifacts from his travels, and besides being an expert sailor, a true yachtsman is a Fishing Master, which will allow hour hikers to eat in this restaurant the best that these rich ocean waters have to offer. His stories, which makes a point of sharing with their clients, are already a must and make this restaurant a must stop. It is with these memories that we say goodbye to this last day. 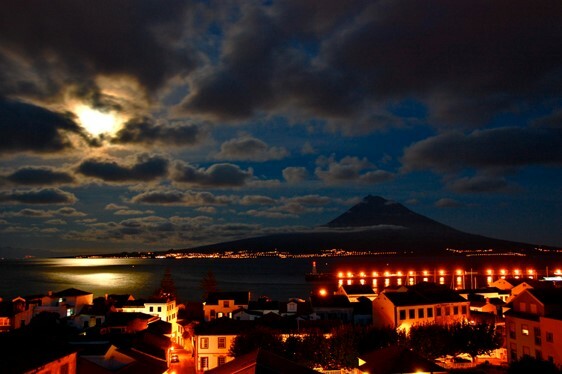 This is the day we say goodbye to Faial, the Azores, but also to each other. Behind it will be a journey that we believe will last in the memory of all who make it. This program was designed to show you 3 islands that represent in an authentic way the rich and centenary Azorean culture, its tough and genuine people as well as the natural beauty of the Azores, absolutely unique. We will also try to integrate our hikers in the local communities, their inhabitants, customs and flavors and share with them some routes and places only known by the locals. *This is a reference price, which, depending on the time of purchase of tickets, is subject to change and it doesn’t include the flights from abroad to São Miguel or Terceira islands, from where we will fly to Pico island. Note: The clients have to arrive in the Pico island at the 23rd of September of 2019.